We have a wide range of shutters in Lichfield available for use in a varying style of windows. At Fine Fit Blinds and Shutters, we offer a complete made to measure shutter fitting service, with flexible appointments at your home or office – with the measuring, delivery and fitting all free. Based in Lichfield, our small but experienced family business will ensure that your project runs smoothly – offering advice when required on colours, and the type of blind that would suit the decor of the home or office. With six years of great reviews independently recorded online reviews, we consistently deliver a professional service that is both prompt and efficient, all whilst remaining competitively priced. Our range of shutters in Lichfield includes Hampton UK Manufactured Shutters – available from around 3-4 weeks after the order. These shutters are crafted and built with the finest materials available, and are durable due to their high technology performance. Not only are they durable, they’re incredibly low maintenance too – engineered to resist yellowing, weathering and corrosion, as well as not rotting, splitting, chipping or promoting mould. We can also provide high quality Faux Wood shutters, made from polyvinyl and combining a beautiful finish with a range of styles. Our Vermont and Madison shutters are also available, crafted from high quality basswood and rounded with a subtle white finish – and can often be made tailor made to your property. With excellent light control and options regarding whether they bi-fold or slide, the real wood shutters are a popular option for customers. 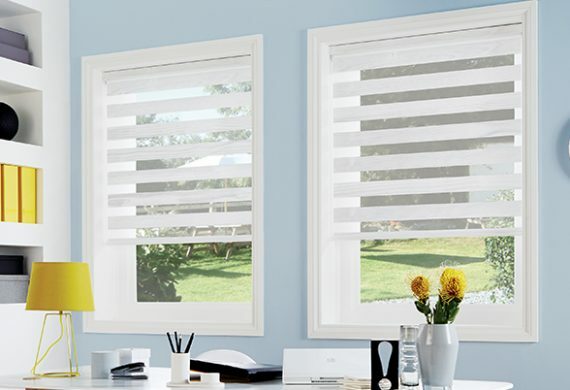 All of our blinds come with a guarantee ranging from two to ten years – making sure you’ll get the most from your money. If you’d like more information regarding our shutters in Lichfield, please feel free to get in touch with a member of our expert team today.